What Are the Best Tips for Buying Wine Glasses? 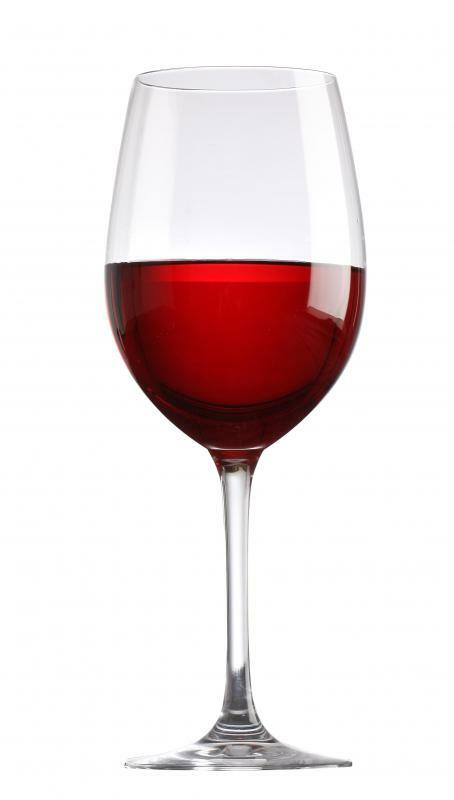 Full-bodied Cabernets and other red wines should be served in a large oval glass that tapers toward the top. 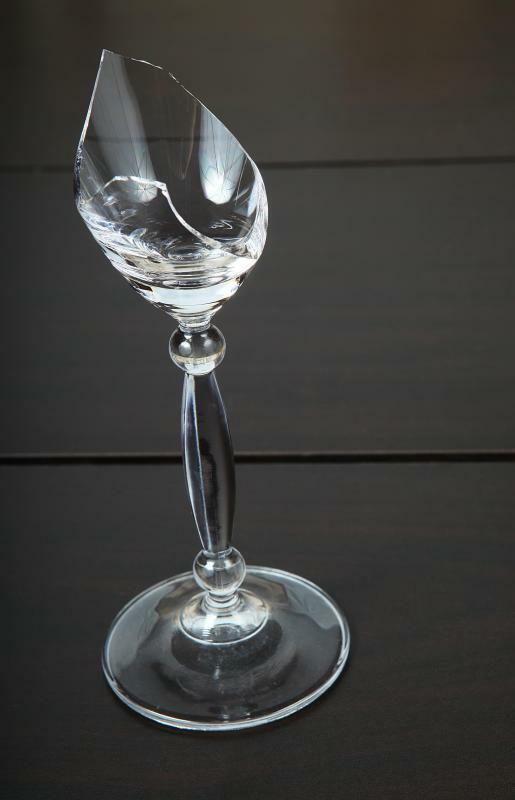 Wine glasses can become broken in many ways, so it is important to have extras on hand. A wine glass is designed to show off a wine's color, aroma, texture and flavor. A tall, narrow bowl will keep wine cold. Red wine is best served in a wide-open glass. A thin wine glass may break when used for toasting. When buying wine glasses, wine drinkers should keep in mind what type of wine they usually drink or serve. The wine glasses also should be made from thick glass that is free of imperfections. Typically, genuine crystal glasses will be expensive, and a casual wine drinker may want to buy less fancy glasses. Also, to compensate for any broken wine glasses, a consumer should buy a few more wine glasses than he really needs. Different types of wine should ideally be served in different glasses. Each glass is designed and shaped to enhance each wine's characteristics. Before buying wine glasses, a consumer should keep in mind which type of wine he will usually be pouring. 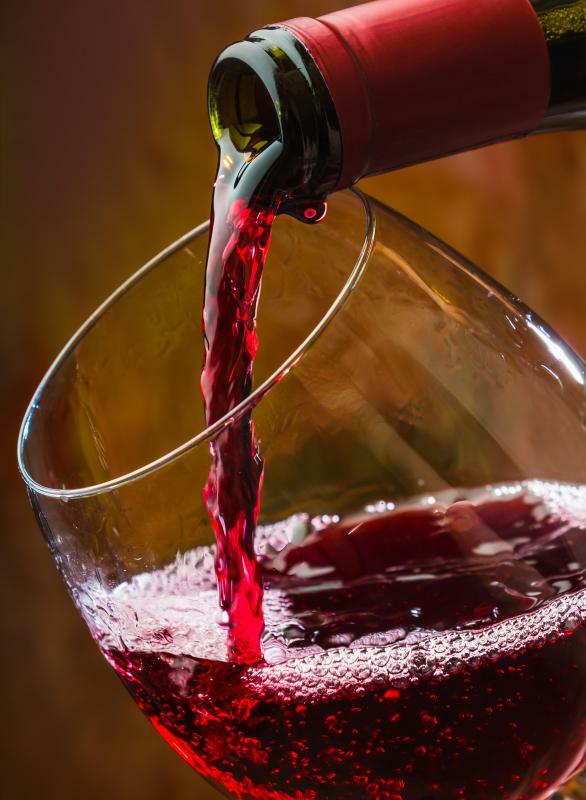 Red wine gasses usually have a larger bowl, which is the portion of the glass where the wine is poured. They will also usually have a wide mouth. This wine glass shape will help the wine in the glass breathe. They will also allow the drinker to savor the aroma of the wine, which is considered a big part of appreciating wine. 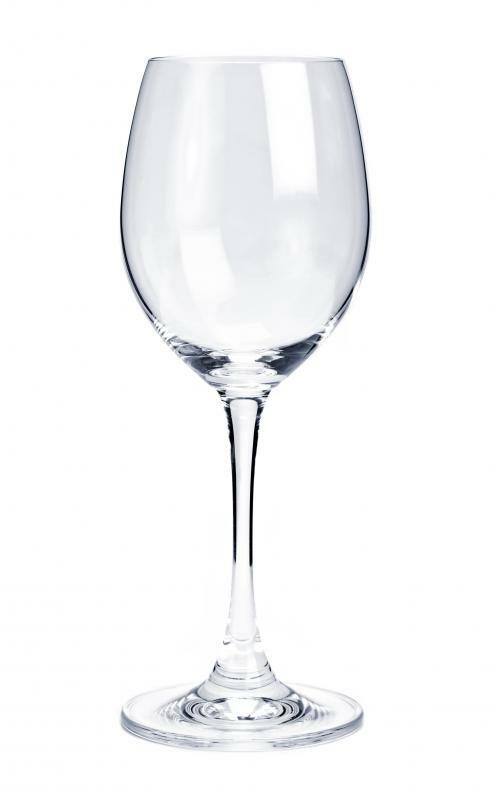 When buying wine glasses for white wine, a consumer should look for glasses with a tall, narrow bowl. This shape will help keep white wine cold. Champagne and sparkling wine glasses are almost identical to white wine glasses. The shape of this glass will help prevent the carbonation, or bubbles, from escaping. A consumer should also inspect each piece before buying wine glasses. The glass itself should be thick, which makes for a more durable glass. The base, or foot, of the glass should also be wide for added stability. Consumers should also check for blemishes and flaws when buying wine glasses. The rim of the glass should be smooth, and the foot should be straight and flat on the bottom. If other flaws, like chips or bubbles, are present in or on the glasses, they should not be purchased. Cheap wine glasses are typically made out of regular glass and they often can be found in wine stores or liquor stores. Expensive wine glasses, on the other hand, are often made out of crystal. 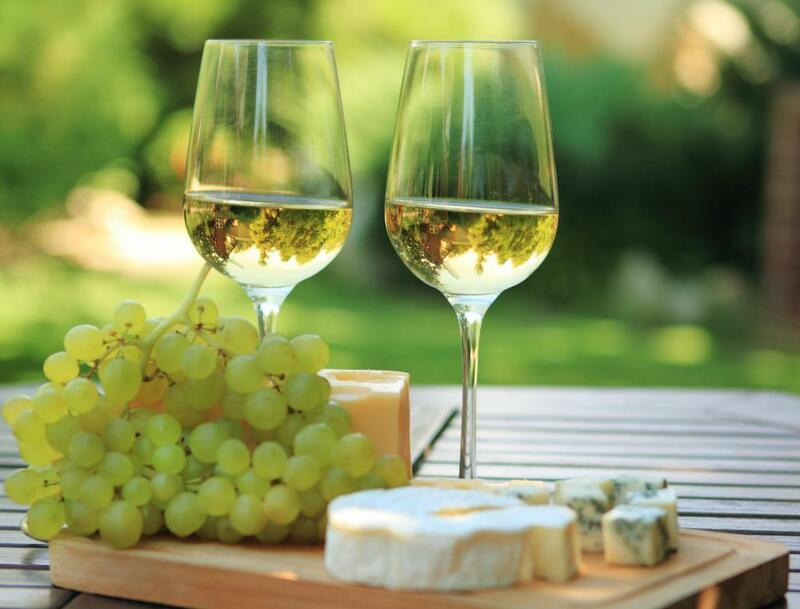 The casual wine drinker will usually need nothing more than regular wine glasses. If an individual is a wine enthusiast or he is looking to impress his guests, he may want to look into more expensive wine glasses. Wine glasses can become broken in many ways. Wine drinkers should purchase a few extra glasses, if their budgets allows this. These extras can replace a broken wine glass in a set. These extra glasses should be stored in a safe place, preferably in their original packaging. How Can You Prevent Champagne from Going Flat? Does Glass Shape Affect How Quickly You Drink? How Do I Choose the Best Cheap Champagne? What Are the Different Types of Rose Wine Glasses? How Do I Choose the Best Crystal Wine Glasses? How Do I Choose the Best Discount Wine Glasses? What Are the Pros and Cons of Using Cheap Wine Glasses?